The modern violin’s origins are in the schools of violinmaking in Brescia and Cremona, the traditions of which were passed down through generations of mentorship to violinmaker Antonio Stradivari, who invested his life in experimenting and perfecting the violin. Today’s violins are largely informed by the findings of Stradivari and other masters over the centuries. While 18th-Century violins are still prized on the market, the works of modern violinmakers are considered as good as the masters’. Aside from a slight change in length and angle of the neck, as well as heavier bass bars for greater string tension, the violin’s physical design has not changed much since the golden age of violinmaking. Composers of the 17th-Century began to write for orchestras and chamber groups that included the violin. By the early 19th-Century, France had become the leader in violin production. Françoise Xavier Tourte is credited with designing the modern bow. His design changed the bow to arch backwards, and the weight, length, balance and Pernambucco wood of his bow are now the standard. With the Industrial Revolution of the 19th Century also came the Trade Violin starting in Germany. 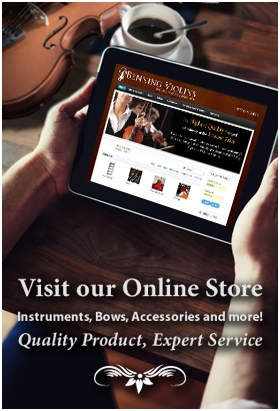 Factories began to meet the demand for violins through a cheaper production process that gave rise to a wide variety of violins in terms of quality. 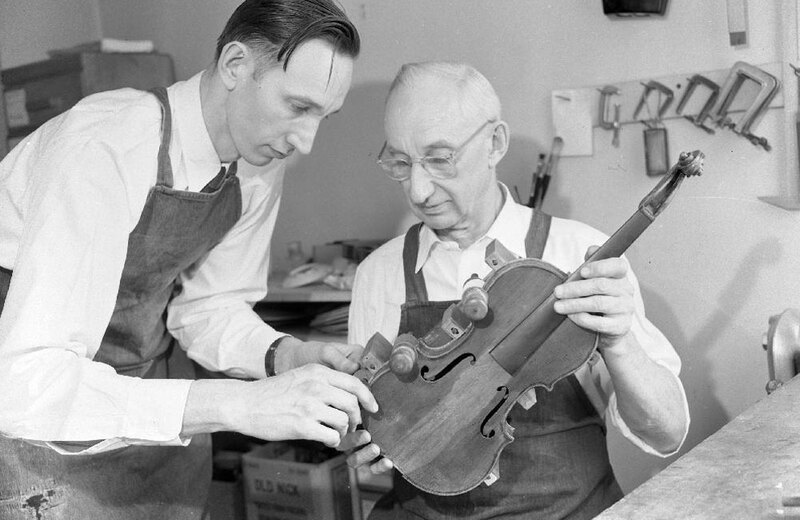 Two-dollar fiddles could be ordered in a Sears catalog at the turn of the century, though they lacked the skill and precision of a well-made instrument. Many factories labeled their products with the names of the original masters like Amati and Stradivari whose designs they imitated. Violinmakers continue the legacy of excellent handmade violins by studying the techniques and innovations of their craft. Secrets of the masters in design, materials and varnishes continue to inform contemporary luthiers, who also experiment and perfect their skill.